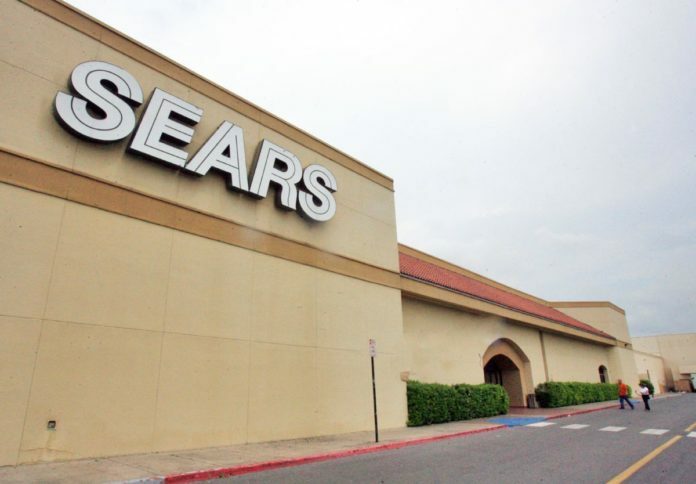 HARLINGEN — Struggling Sears Holdings Inc. Thursday announced the impending closings of 63 of its Sears and Kmart stores, on top of the 166 already marked for closing this year. None of the company’s Valley stores are on the list, which include Sears stores in McAllen, Pharr, Harlingen and Brownsville. In Texas, Sears stores in Lewisville, Fort Worth, Cedar Park and Denton will close, along with a Kmart in Laredo. The only Kmart remaining in the Rio Grande Valley is in McAllen. The Sears store closings are nothing new and have been occurring sporadically for several years. After this round of closings, Sears will have about 800 operating stores, which is about 200 less than at the end of 2017, and significantly below the company’s high-water mark of 4,000 stores in 2012. Sears posted a quarterly loss of $424 million and said store closings already under way contributed to a drop of more than 30 percent in revenue, The Associated Press reported Thursday. That marks more than five years of straight quarterly sales drops, according to FactSet. Sales at established stores, a key gauge of a retailer’s health, tumbled nearly 12 percent, down 9.5 percent at Kmart stores and 13.4 percent at Sears, AP said. Sears’ losses have totaled more than $11.4 billion since 2010, the last year it turned a profit. But to meet customer needs and improve financial results, Sears must close poorly performing stores and “focus on our best stores, including our newer smaller-store formats,” he said, according to a transcript of the call obtained by the AP. Sears announced recently that shoppers could buy any brand of tires on Amazon.com and have them shipped to a Sears Auto Center to be installed. Amazon began selling Sears’s Kenmore brand of appliances last year. The company is attempting to sell its popular Kenmore appliance brand to raise money. Last year it sold its Craftsman tool brand to Stanley Black and Decker. While those moves may help Sears, what Harlingen’s major mall needs is a healthy Sears as an anchor tenant. Last month Valle Vista mall was put on the auction block for sale at an undisclosed price. The former owner of the city’s premier mall, Washington Prime Group, relinquished the property back to lenders in 2017, conceding profits from the mall had not met expectations. Since then it has been managed by ProEquity Asset Management Corp.
During a tour of the mall last month, 22 storefronts appeared to be empty. That puts the current vacancy rate at Valle Vista at about 25 percent. Sears operates a Sears Appliance Outlet Store in McAllen and a Sears Appliance and Mattress store in Pharr. In Brownsville at Sunrise Mall, Sears has both a store and an auto center.